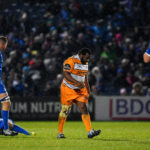 The Cheetahs will be without loosehead prop Ox Nche until the Pro14 final after he was given an eight-week suspension for a dangerous challenge. 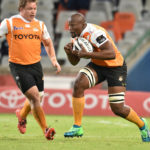 Oupa Mohoje, Rudy Paige, and Ox Nche will start for the Free State Cheetahs against the Blue Bulls in Bloemfontein on Friday. 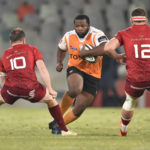 Springbok prop Ox Nche has extended his contract with the Cheetahs until 2019, warding off interest from other unions.